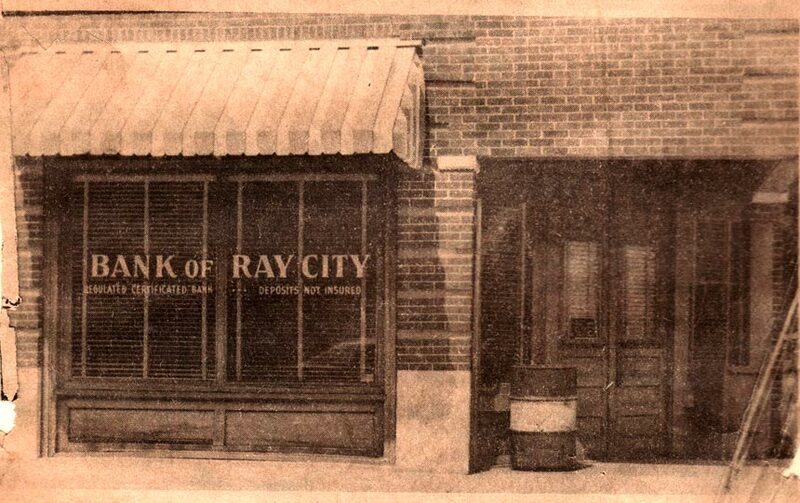 The Citizens Bank of Ray City was among the first businesses to advertise in the town’s newspaper, The Ray City News, when it began circulation in 1929. 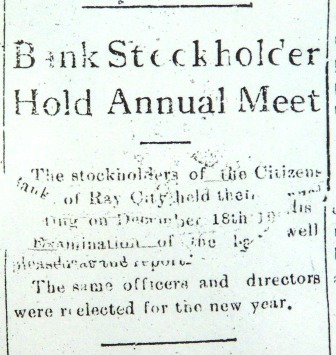 In a newspaper clipping from the Jan 3, 1929 issue of the Ray City News the stockholders of the Citizens Bank of Ray City were pleased with the financial reports. Examination of the – illegible text – well pleased at the report. The same officers and directors were elected for the new year. 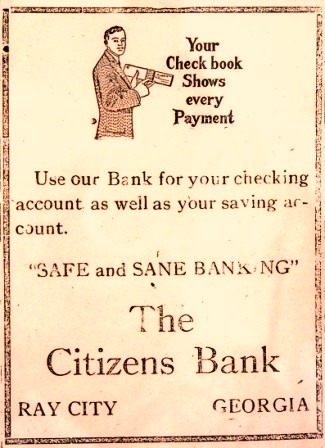 In 1929, the Citizens Bank of Ray City, was optimistically advertising for new depositors. When the stock market crashed, the bank managed to remain in business. 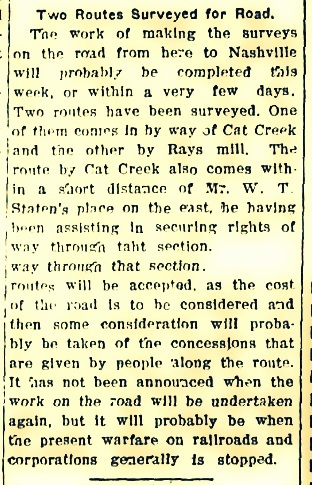 In fact, in July of 1930, the Atlanta Constitution reported that the banks of Berrien County, including the Ray City bank were financially sound. 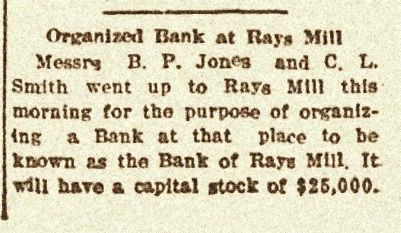 But by the end of December 1930 the Citizens Bank of Ray City had failed. New York Times. Dec 21, 1930. ATLANTA, Ga., Dec. 20 (AP) – A. B. Mobley, State Superintendent of Banks, announced today his department had been asked to take over the affairs of the Union Banking Company of Douglas, operating branches at Braxton and Nichols, the Toombs County Bank at Lyons and the Citizens Bank of Ray City. Cause of the closings was not stated. The Bank of Ray City in 1972. In 1973 the bank was acquired by the Citizens Bank of Nashville. 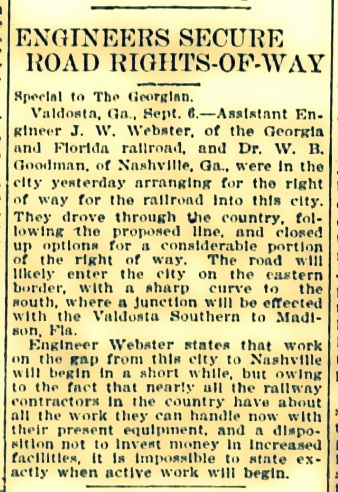 Georgia, and is now the Ray City office of that bank. 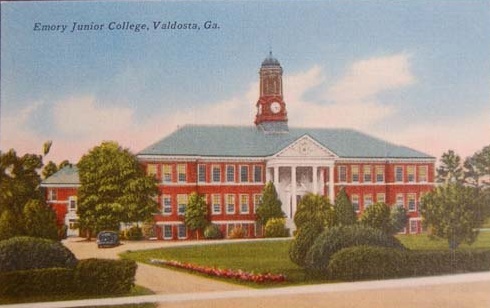 The old bank building pictured above has since been demolished.